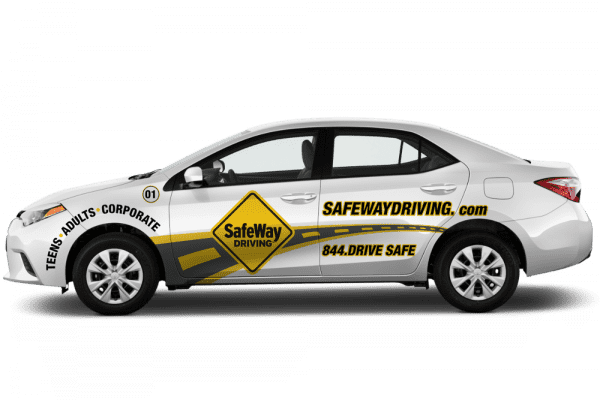 SafeWay Driving is revolutionizing the driver training industry and you have the opportunity to drive your dreams with a proven leader. 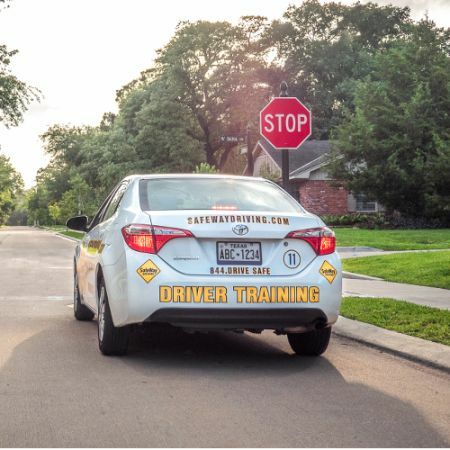 Leveraging 44 years of successful operation and the experience from training over 275,000 in-car drivers, SafeWay Driving has recently modernized the driver training business model and is looking for qualified Strategic-Partners to grow across Texas. Our unique and efficient operating model allows you the opportunity to be on your own without being alone. You can make a positive difference in your community and your income by implementing our proven, technology-driven systems and utilizing your time to spread the SafeWay Driving story throughout your neighborhoods. Our franchise business model revolves around our SafeWay Driving customers. 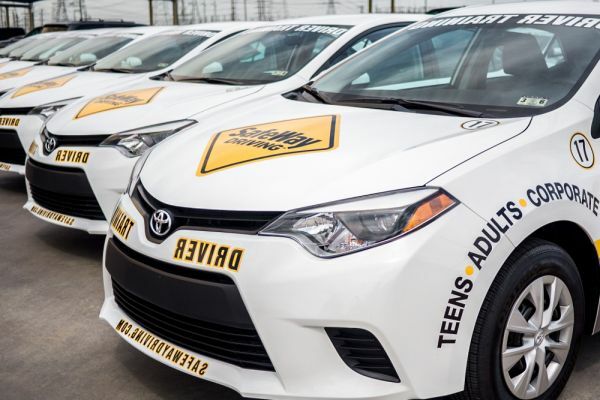 In fact, everything we do is deliberately designed to deliver the very best in driver training services to our customers, therefore providing our franchisees and our system the opportunity to build a sustainable business. 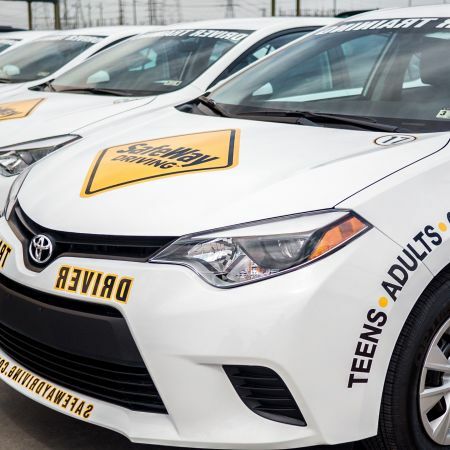 The SafeWay Driving franchise business model is both modern and efficient, designed exclusively to provide you the necessary support to optimize your School Zone opportunities. Our virtual approach and best-in-class technology allows you to manage most of your business from your iPad, eliminating the need for an expensive storefront. 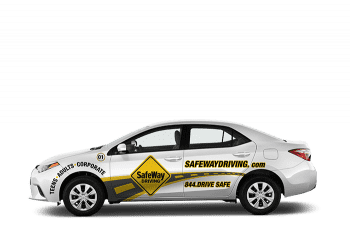 SafeWay University is the epicenter of training and certification for all SafeWay Driving instructors and franchisees as well as the ongoing development of online and in-car curriculum. All of SafeWay U's primary training courses are licensed by the state and most are available through our online learning management system 24/7/365. SafeWay Driving franchises are awarded by School Zones. School Zones are ranked according to state projected attendance figures and calculated on a “per car” basis. Across Texas, the average School Zone is a “3 Car” market area. That means that specific School Zones should be performing at a consistent level that requires a franchisee to have three cars available to effectively process his or her customers. School Zones can be as small as “1 Car” or as large as “6 Car” depending on the population density, income, growth and competition in that School Zone area. School Zone growth opportunities are available all across Texas. We have only recently launched our franchise offering so there are a number of choice areas available that need the cultivation of a SafeWay Driving Strategic-Partner who knows their respective community. Review the opportunities available in your area below and if you do not see the School Zone(s) you are interested in or have further questions, please call us immediately at 832.554.0966. Being awarded a SafeWay Driving franchise is no small accomplishment. We are as selective about our Strategic-Partners as our Strategic-Partners are about the franchise they want to be associated with, so it is a two-way qualification process we take very seriously. We have mapped the qualification process out in “The Road to Your SafeWay Franchise.” Download today to get on the road to a SafeWay Franchise! Learn how you can drive your dream of owning your own business while making a positive impact in your local community and saving countless lives along the way! Community: The franchisees’ primary role in the business model is that of community advocate or marketer, connecting with key influencers in their School Zone schools, churches and businesses to heighten neighborhood families’ awareness of their franchise and help drive customers to the business. Instruction: The franchisees’ secondary role is to focus on hiring people we train into high quality instructors and making sure they execute instruction according to the SafeWay Driving System. Each of these instructors will be trained through SafeWay University and start with all the skills necessary to succeed. Execution: Successful execution of any franchise business requires following the system. At SafeWay Driving, that means partnering with our team of professionals, following the SafeWay Driving Franchise Operations Manual and diligently utilizing our web-based operating system known as Drive Center. The SafeWay Driving Administrative Team has developed a comprehensive system to assist you in the operations of your business and support our franchise business model. We continually monitor and improve our operating systems to insure our leadership role in the driver training industry. Our franchise business model consists of eight key components, all designed to support your School Zone. How do I qualify for a franchise? The process for qualification, “The Road to Your SafeWay Franchise,” is outlined on this site and includes an infographic for your reference. The actual qualifications are also outlined and include a genuine passion for making a difference in your community, connectivity in your community and belief in SafeWay Driving’s Purpose, Values, Vision and Mission. It also includes certain financial qualifications and a unwavering commitment to stick to our system. How do you define a "school zone territory"
A School Zone is a specific geographic area that defines your boundaries for developing business. School Zones are taken directly from the demographic studies provided by public school districts for high schools, both existing and future. A single School Zone will include one primary public high school, middle schools and possibly a variety of private schools within its boundaries. One of the many advantages of a SafeWay Driving franchise is that it does not require an expensive and time consuming store front or office. You can work remotely at your convenience, coordinating everything through your iPad. All you will need to do is identify Drive Sites for the purposes of meeting drivers for their drives and determine where you will park your cars. Franchises reaching the 9 car size level are required to add a store or office at that time. Allowances are also made for those who insist on having a physical location, with requirements to meet SafeWay Driving approval. Proven design and construction plans are in place and available, including interior models, decor and signage. Do I have to be a Licensed driving Instructor? It depends. 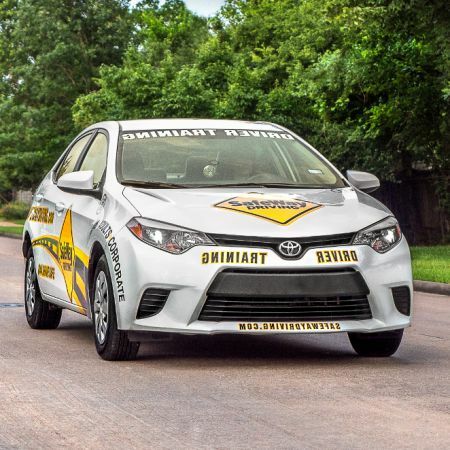 Some of our franchisees choose to do their own driving or at least perform the duties of an instructor from time to time. In that case, you will have to obtain an instructor license from the State of Texas which we will help you satisfy those requirements through SafeWay University. All of your instructors will need to be certified S.A.F.E. through SafeWay Driving and licensed by the State of Texas. Does SafeWay Driving provide training? We do. 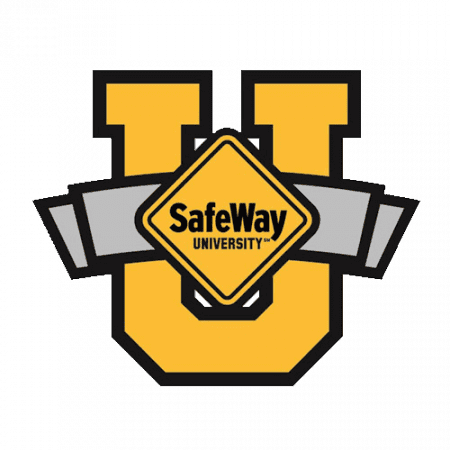 SafeWay University is the epicenter of training and certification for all SafeWay Driving instructors and franchisees as well as the ongoing development of our proprietary online and in-car curriculum. All of SafeWay U’s primary training courses are licensed by the state and most are available through online learning management systems 24/7/365. $35,000 per car multiplied by the size ranking of your School Zone. For example, the average size is a 3 Car School Zone so the franchise fee would be $105,000. A 1 Car School Zone would have a franchise fee of $35,000. What are the standard franchise royalties? The standard franchise royalties are 7% (subject to minimum payments). 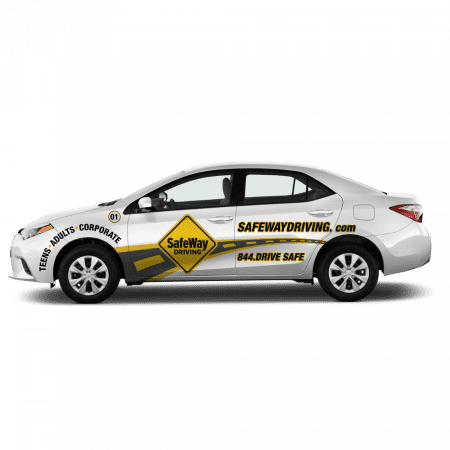 Like most franchises, SafeWay Driving has an active marketing team developing strategies and campaigns to increase our collective business. The marketing and advertising fund is 5%, 2% of which you must spend on a local marketing basis and 3% which SafeWay Driving spends on campaigns and initiatives which enhance brand awareness and value for all of us. What are the minimal financial requirements? Minimum financial requirements may be satisfied individually or as an investment group. Being awarded a SafeWay Driving franchise is no small accomplishment. We are as selective about our Strategic-partners as our Strategic-partners are about the franchise they want to be associated with, so it is a two-way qualification process that we take very seriously. We have mapped the qualification process out in “The Road to Your SafeWay Franchise”, on this site. How long does the qualification process take? Depending primarily upon your diligence and work intensity, the qualification process can take anywhere from one to three months. That includes a required 14 day “Business Validation” period for you to take time to study, do your homework and plan to make certain this is the best decision for you and your family. I wanted a franchise model that required my people skills but gave me full support on the operating and technology systems. SafeWay Driving is over the top on all of their support systems and I’m out working the community. We’ve always wanted to work together to build a business in our community that made a difference in people’s lives and SafeWay Driving has been a great choice for us.